Gamora #1 (2016) Esad Ribic Cover. Nicole Perlman Story. Marco Checchetto Pencils. 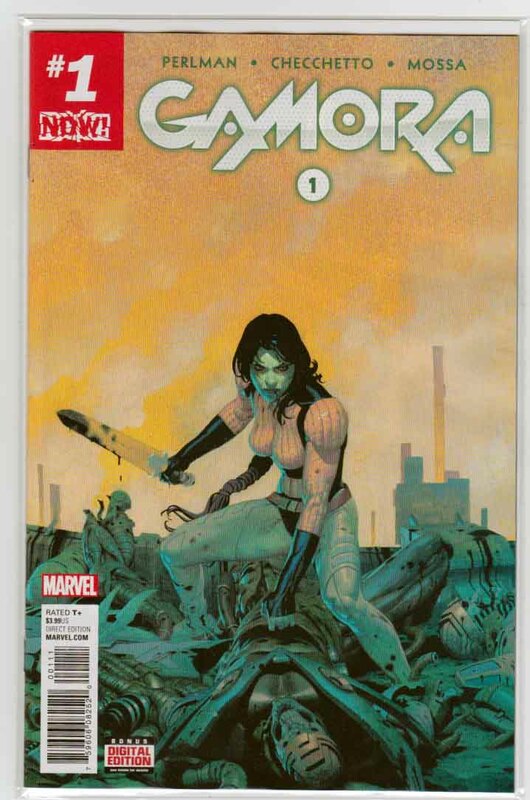 Before the Guardians... there was Gamora! From screenwriter Nicole Perlman - co-writer of the Guardians of the Galaxy screenplay - and Marvel superstar artist Marco Checchetto comes a killer new ongoing series! Once upon a time she was Thanos' heartless pet assassin and favorite daughter. Today, she is the backbone of the Guardians of the Galaxy, putting her life on the line to defend the innocent. What was it that transformed her from being used as a tool of her oppressor, to a champion of the powerless? Embark on a journey of revenge and redemption, and witness how Gamora earned her reputation as the Deadliest Woman in the Galaxy..